CLA is best known for supporting a healthy body composition. ** Taking CLA helps support body composition related to overall wellness and conditioning. ** In other words, CLA appears to be a useful tool in addition to a healthy lifestyle and exercise program. This special formula combines Myoleptin™ CLA with caffeine, Guarana, green tea, L-Carnitine, and Hoodia Gordonii. 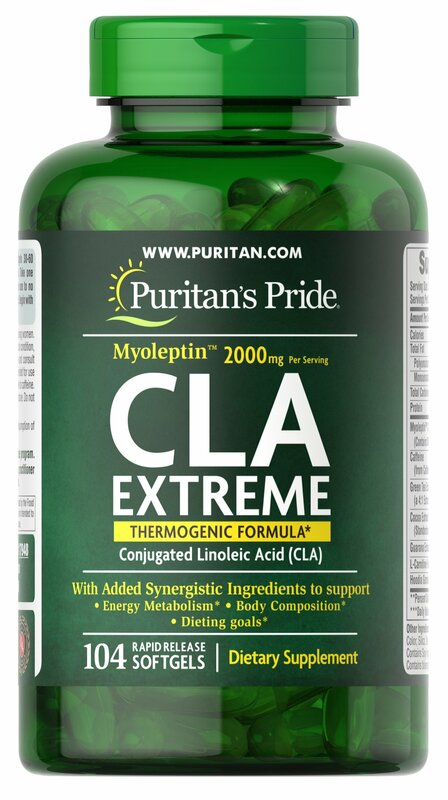 Provides 2,000 mg Myoleptin™ CLA per serving. Includes 104 rapid release softgels.